“Is she serious?” I laughed good-naturedly at my friend’s query. “Yes, she’s very serious,” I returned. “Annie doesn’t joke about dancing.” We all filed into the open living room after having shared a lovely dinner. Furniture had been scooted aside, and the hardwood floor was just begging to be danced upon. Our hostess smiled her winsome, compelling smile and suggested we form two lines: moms in the back, daughters in front. “It’ll be fun!” She flashed a grin and proceeded with the demonstration, “OK . . . this is the first step.” We obediently followed, exceedingly grateful for the row of lithe teenagers that shielded us. We valiantly strived to keep up. Laughter increased with each passing measure. We shuffled, we kicked, we sached, we swayed. Mothers laughed as daughters made it all look so easy. Daughters laughed as mothers tried to remain upright. We ran through the song multiple times, reassuring ourselves that, even if we didn’t look like Debbie Reynolds, we were at least burning calories. In the end, we didn’t have a perfect routine; but we did have a perfect memory tucked away in our hearts. This wasn’t the first time dance had worked its way into my heart. As a child, I loved the dance scenes in movies. And as I’ve had opportunities to participate in various dances over the years, I’ve observed that this time-honored activity has many far-reaching benefits. 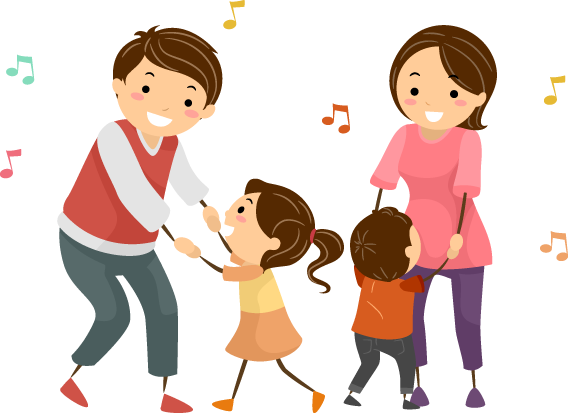 As the evenings become longer and cooler this month, let’s explore some of the benefits of waltzing our way into this family pastime.